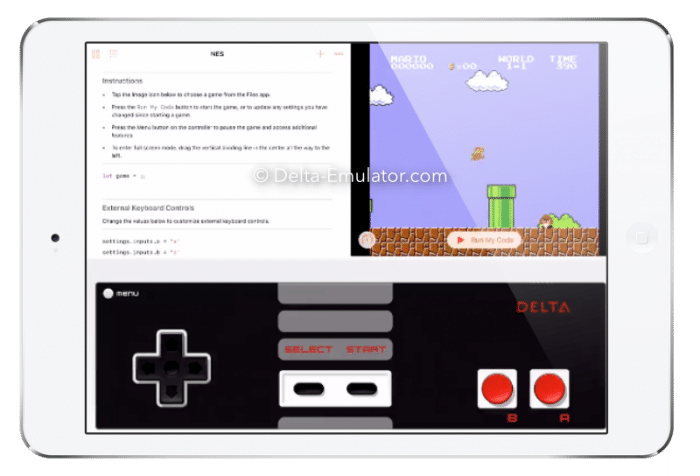 Delta Emulator is the latest games emulator app to be released outside of Cydia. It offers access to some of the top Gameboy and Nintendo games available, both classic and new, without you needing to jailbreak or pay any fees. 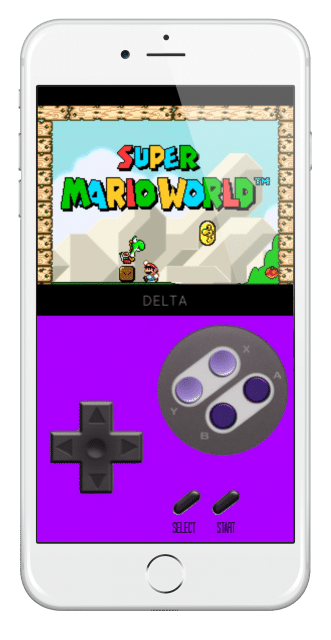 Right now, Delta emulator works only on iOS 10 and above devices, and it is somewhat limited in its capabilities for emulation. iPhone users and those on the iPad who want a far better emulation performance can try one of the following “FREE” emulators. For those with an iOS device who are happy to use Delta Emulator, read on for full download instructions. This will only work on iOS devices like iPhone and iPad; for any other smart device, use one of the emulators linked above, both of which are fully functioning, free games emulators. Tap the Download button below for direct download. Download Emus4U app from the linked article. Go to the new section for Emulators and locate the Delta app; click on the Install button to proceed. Launch the emulator app, and you can choose and play your Nintendo games. 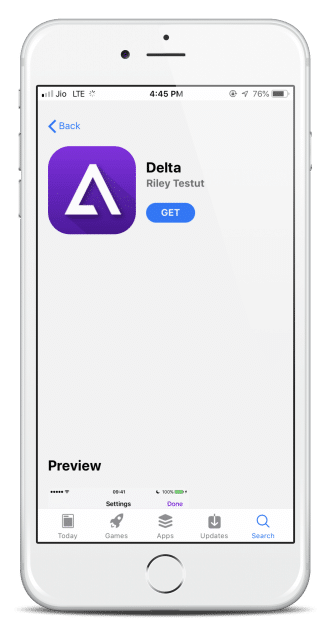 Appvalley is the second un-official appstore that is hosting the Delta Emulator app for iOS users. You can download AppValley from the official page here – https://appvalley.app . After download, go to Search at the bottom menu, and type Delta and tap Get to install. This method is an iPad-only method. For iPhone users, GBA4iOS is your best bet as a Delta Emulator alternative. Open your iPad Safari browser and open either this (link) or this (link) – Do NOT use any other browser. You are going to need Cydia Impactor for this method and your Apple ID/Password. Make sure that iTunes is up to date on your computer – open iTunes, click Help>Check for updates and follow on-screen instructions if there is an update. 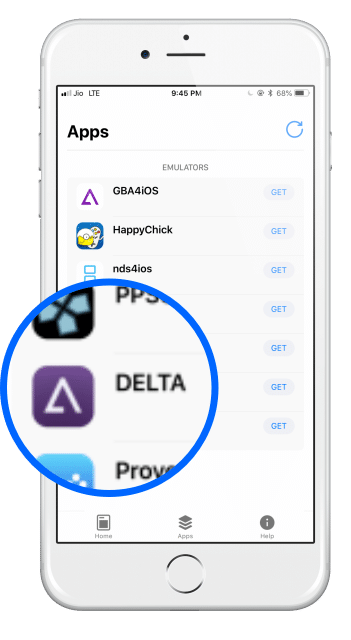 Delta Emulator is an incredibly comprehensive installer, offering so much access, you won’t need another emulator app. The fact that it is free and doesn’t require a jailbreak is a massive bonus, and it opens Delta Emulator up to many more users. Delta Emulator is a decent emulator and worth a look for iPad users. Do let us know what you think of it an follow the developers on Facebook for more tips like this. Hello the Emu today dosn‘t work. Its Shut down? Can you revoke it? yes , that is because it got revoked. How can i change the skins on the Delta Emulator? I try it but the Emulator crashed down. Why the Delta Emulator Crased down, if i change the Cover from the Rom Game? sorry about this. what is your ios device ? hi , thank you for commenting. you need to contact the developer of the game and delta emulator for resolving this issue. link in this post itself. hi Jeff, see Grey icon solution.